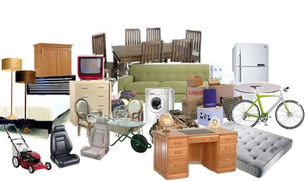 Phoenix Junk Hauling treats every new carpet disposal job as a very serious one for your residence or business. With extensive experience in all types of removals, we have the ability to take your requests and make them a reality. ​If you are unsure if your carpet removal job is even possible, our staff will be more than happy to assist you. As the foremost carpet disposal company, we will consult with you and let you know of the potential possibilities or problems to removing carpet from your greatest asset, which is your residential or commercial property. Success in our Phoenix, AZ business is not based on chance. It is based on systems that are continually perfected as techniques and methods change. For us, the most important element of any project is not the property we are working on, but the people we work with. Regardless of how extensive your project is, we are committed to your comfort and awareness during every step of the process. We understand that by allowing us into your Phoenix, AZ area home or business, you are asking us to take extra care of a very special job that directly correlates to your daily schedule and lifestyle. You can rest assured that this would-be challenge is what we do best. If you want the best carpet disposal business in the area of Phoenix, AZ, get in touch with us. Our aim is for you to have the best overall experience for your next carpet disposal project. We deliver world-class junk hauling services at a great value. Every member of our crew is insured and will provide for all of your carpet disposal needs. Our main objective is to provide a solution to a problem and not just create a job. We are here to deliver answers to your carpet disposal needs and to make sure you are 100 percent satisfied with the end product. We provide high-quality jobs to high-quality people, and we love it! 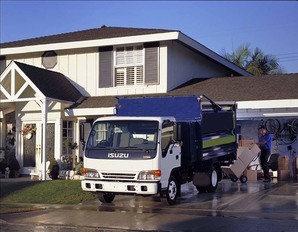 If you want the best junk hauling contractor in the area of Phoenix, AZ, come to Phoenix Junk Hauling.